History of the Old Bowling Green Inn at Leicester in Leicestershire. Located on the north-east side of Oxford Street, this pub formed part of the Firkin pub chain in the late 20th century and was known as the Fullback and Firkin. As part of the student-oriented Scream chain, it later traded as The Polar Bear - because the building was adjacent to the factory where Fox's Glacier Mints were produced from 1923 until 1965. Since replaced by modern student accommodation, the factory building was attractive and featured a large bow-window for the offices. Peppy The Polar Bear, the company's trademark and mascot was found in the abandoned factory and donated to the New Walk Museum. When forming part of the Stonegate Pub Company's Great Traditional Pubs chain, the Polar Bear reverted back to the Bowling Green in the autumn of 2015. The Old Bowling Green Inn is a probably a reference to the public bowling green provided by public expense in 1736. The green was laid out at the Horse Fair Leys, just outside the old city wall. Bowling Green Street and Horsefair Street are reminders of this recreation ground. 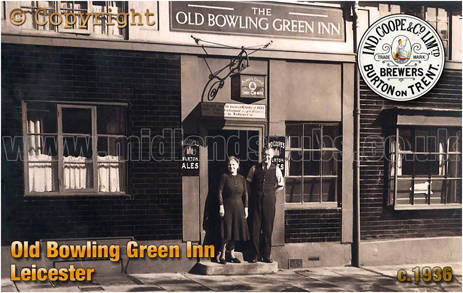 Located on the north side of Oxford Street, The Old Bowling Green Inn almost faces Bonners Lane and was a short distance from the Duke of Rutland Inn. The Three Cups Inn was just around the corner in York Street [later named York Road]. The photograph below seems to date from the late 1930s but could be post-war. Wilfred Smith was the publican at the time and he can be seen here with his wife on the well-trodden front step. 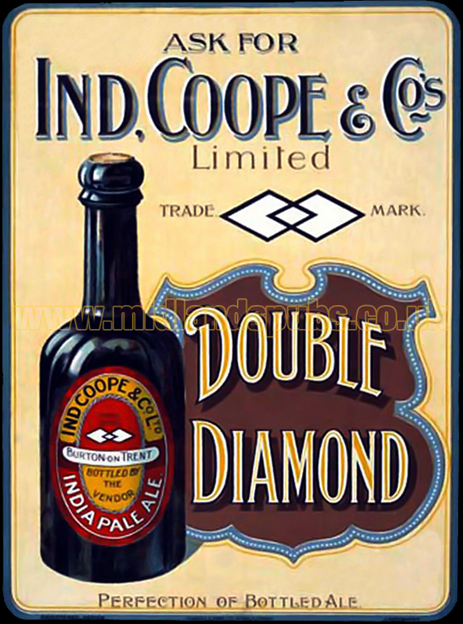 The photograph was seemingly taken not long after the building received a face-lift from Ind Coope. Although the pub has been modified over the years, the core of the building is thought to date from the early 18th century making it one of Leicester's oldest surviving hostelries. 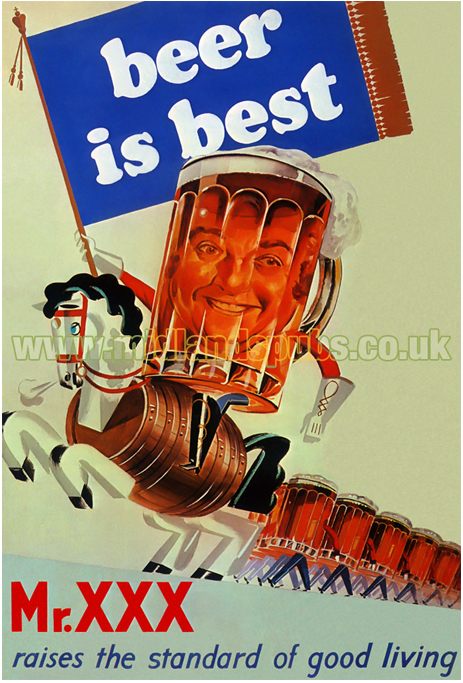 During the early-mid 19th century the pub seemed to sell more property than beer for it was often the venue of an auction mart at a time when Leicester was being developed into the important city that it has become. The landlord during this period was Samuel Stretton who, along with his wife Sarah and family, occupied the property when it was listed at Horsepool Street, an earlier name for the thoroughfare. The pool was located a short distance from the Old Bowling Green, roughly where Oxford Street is joined by Carlton Street. Born in Leicester in 1879, Samuel Stretton had formerly worked as hosier. 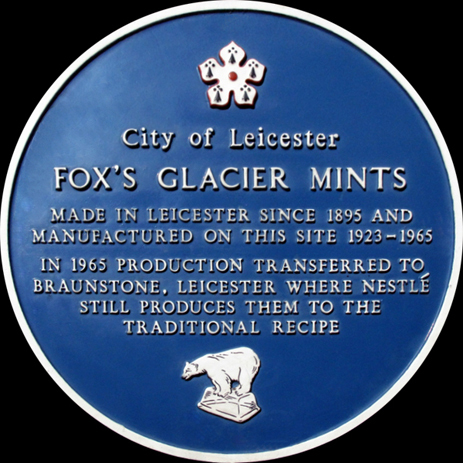 A number of factories devoted to this industry were dotted around this part of Leicester. He married Sarah Dudgeon at St. Mary de Castro Church on February 23rd 1809 and the couple settled in Bakehouse Lane. The Dudgeon family had a grocery business at nearby Infirmary Square. Samuel and Sarah Stretton were running the Old Bowling Green Inn by 1820. Samuel remained as publican until his death on November 22nd 1859. William and Emma Kisby kept the Old Bowling Green Inn from April 1865. Born in Wragby around 1829, William Kisby had previously worked as a brickmaker in Corby. His wife originated from Grantham. 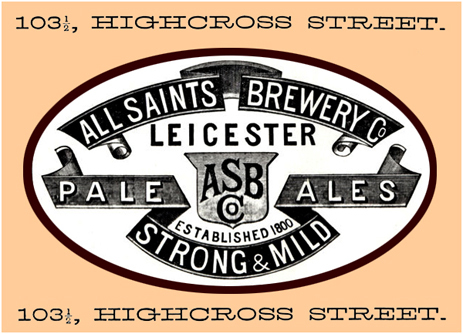 There is evidence that a small brewery was in operation at the Old Bowling Green Inn as William Kisby was recorded as a brewer in Leicester trade directories from around 1877. 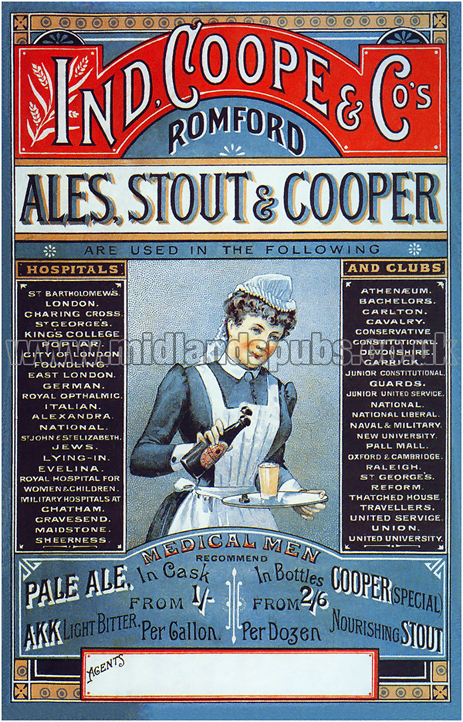 In the 1890s Thomas Orton was also documented as a brewer when running the Old Bowling Green Inn. 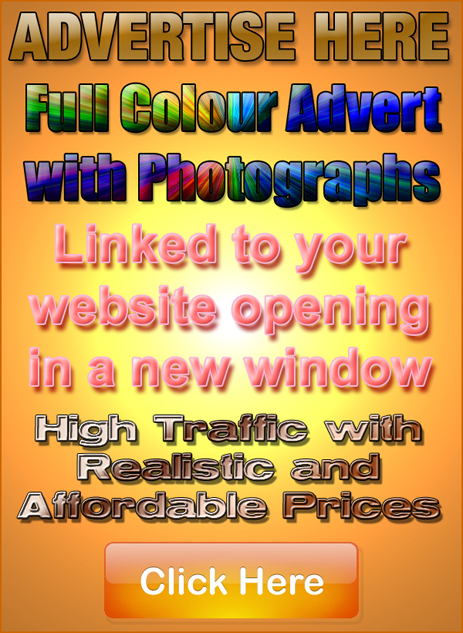 Born in Blaby in 1858, he had previously kept the Shamrock Inn on Orchard Street with his wife Sarah. The Old Bowling Green Inn was acquired by the All Saints' Brewery Company Ltd. in the early Edwardian period, a time when the pub was kept by the Luck family. 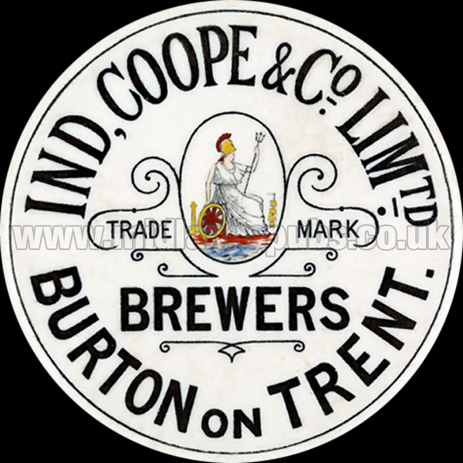 This explains the Ind Coope livery in the photograph ... the Romford and Burton brewery bought the Leicester-based company, along a tied estate of around 80 public houses, in March 1929. If you have a genealogy story or query regarding the Old Bowling Green Inn you can contact me and I will post it here in addition to including your message within the website pages for Leicestershire Genealogy. "A historic pub in Leicester has returned to its roots. The Old Bowling Green has re-opened in Oxford Street as Bowling Green, replacing the former student pub The Polar Bear. It dates back to the 1700s and was re-named 25 years ago to become a student pub. 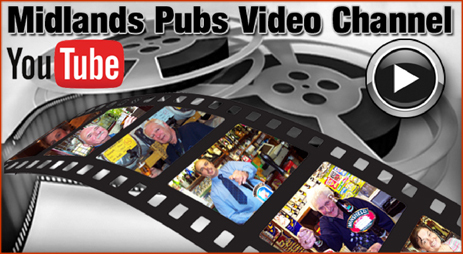 The Grade II-listed pub is now part of Stonegate Pub Company's Great Traditional Pubs chain. The Bowling Green, which was refurbished with a £155,000 investment, has increased its cask beer range, introduced craft beer and a new menu. Four jobs have been created at the CAMRA-supported pub, which opened on November 13. Jamie Cameron, general manager at the Bowling Green, said : "We are thrilled we will be welcoming back such an iconic pub to Leicester. The Bowling Green is fondly remembered by many of the locals who are truly delighted by its return. 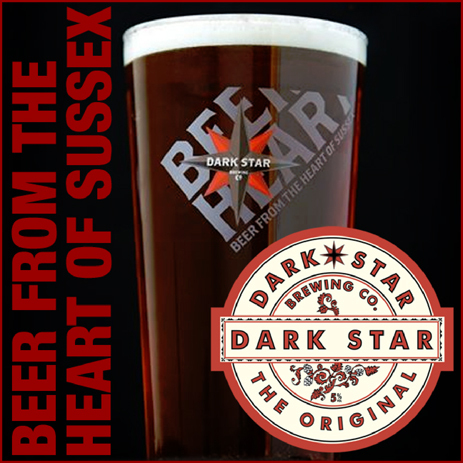 The investment in the pub means that we have been able to install many more cask ale pumps and offer an excellent range of quality beer and fresh cider. 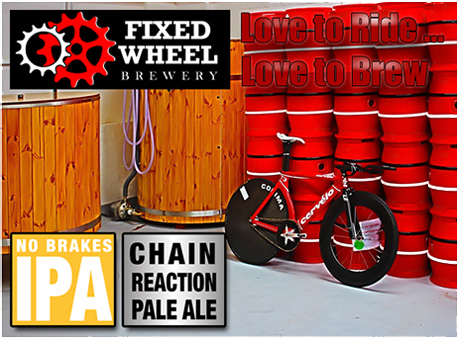 This choice, alongside our new on-tap craft beer range, makes The Bowling Green one of the best-stocked beer pubs in the city." Shawn Collier, chairman of Leicester Campaign For Real Ale, said he was pleased to see one of Leicester's oldest pubs return. He said : "It's great news for pubs in Leicester at the moment. The two guys running it came to our branch meeting about a month ago to speak to us about the refurbishment and told us about their plans. They've got a good range of beers too - from a CAMRA perspective, it's a really good thing to see one of Leicester's oldest pubs, if not the oldest pub in the city, returning to the city." 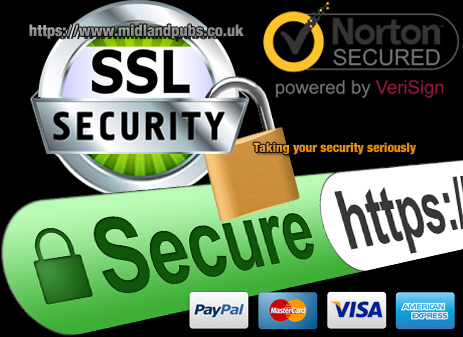 The pub is open from 10am daily and closes at midnight from Sunday to Thursday and at 1am on Friday and Saturday." 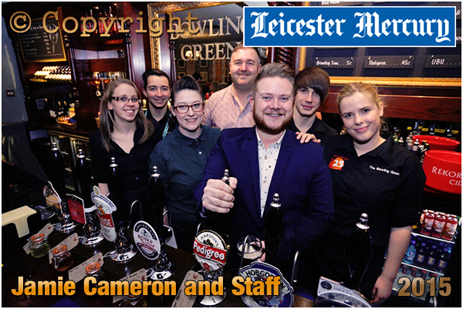 "Historic Bowling Green pub returns to Leicester"
in Leicester Mercury : November 23rd 2015 Page 15.